Missionaries are some of the most innovative people that I know. It starts when they move to an unfamiliar location and have to figure out things like putting food on the table or making electricity and plumbing work with a limited supply of parts. But more importantly, it moves on to figuring out how to relay a message that they have always heard and studied in their own culture into a culture that they are very new to. We often think about translation as something that happens between two languages, but it is really something that happens between two cultures. What we do has to be both appropriate and relevant in the local culture. New is not always better. A new way of doing something may improve things in one way, but damage things in another way. For an example we can look at the introduction of cheaper forms of transportation in northern Ghana. When people walked and a young person met an older person on the road, they would stop and greet and show deference by slightly bowing. When bicycles became the norm the younger person perhaps slowed down and bowed their head as they passed an older person. With the introduction of motorcycles, the younger person may just speed past. Nobody is going to argue that we should all go back to walking, but there has been a cost to the culture. In the world of tech, innovation is regarded as the supreme goal. Facebook’s famous mantra was “move quickly and break things.” We don’t have that luxury. For us, it is not just a matter of losing a few customers; we are working with God’s Word and have to be much more careful to get things right. With that in mind though, there are some exciting opportunities that technology affords us. One of the key issues that we deal with is how to engage a larger number of people both in the process and distribution of a translation. The changing landscape of technology where we work is allowing us to explore new areas. It has been exciting for me to watch LBT missionaries like Eshinee Veith take advantage of societal changes. She started noticing more interaction on Facebook by people in her language community. The translation project took advantage of that by asking questions on Facebook about how people understood a certain word or phrase, or if they had a better recommendation for how something could be said. This allowed people in all walks of life to (1) be aware that a translation of the Bible into their language was taking place, (2) take an active role and ownership in the project and (3) not be limited in their participation by not being in the actual town where the translation office was located. The diaspora is something that we can now take advantage of rather than leave behind. 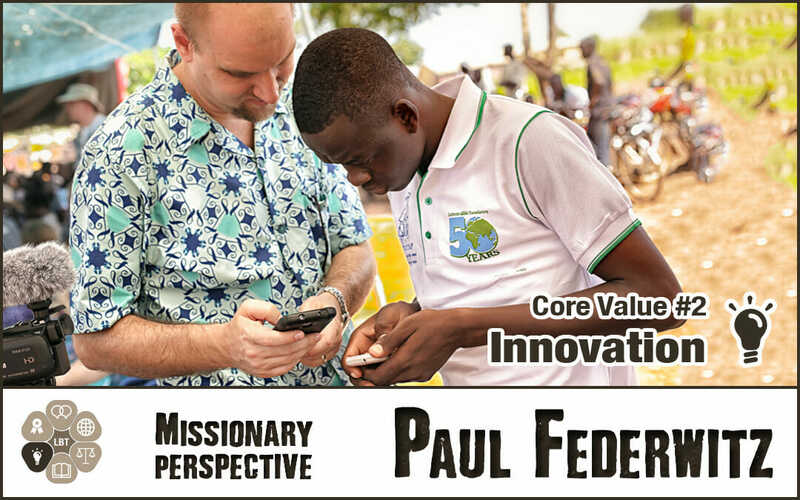 There was a recent article describing how I have been involved in putting Scripture on mobile phones. With the explosion in mobile technology, which has one of the fastest adoption rates of any technology in history, we have some incredible opportunities. First, it changes how people can interact with the Bible. They are not limited to just written or audio forms, but can have the two combined in a way that especially helps the newly literate. Second, it changes our distribution. For the first time we are not having to provide the medium (i.e. the printed Bibles), but only the content. People can share the Bible without having to worry about where to buy a physical copy; they can simply send it to a friend’s phone. Even as an organization, we have to think about how we work together. We have missionaries all over the world that could benefit in their work by interacting with each other. With the upcoming changes of the Service Center move to Concordia, Missouri, we are even going to be seeing some staff members working remotely. We have been making changes over the last several years that are going to rapidly expand this summer as our paradigm of intra-organization communication changes.